Already own a home in the Ridgewood Estates subdivision? Thinking of selling? Click here and read about current search trends & our web network. 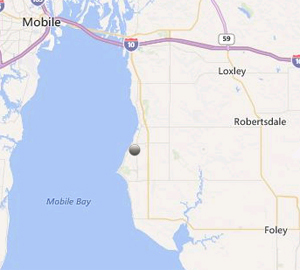 Ridgewood Estates subdivision is located very close to Mobile Bay in Fairhope, AL. The homes in Ridgewood Estates are also close to I-10 making a trip to Pensacola, FL or Mobile, AL quick and easy. Both of these cities offer regional airports making air travel easy to utilize. Ridgewood Estates is approximately 20-25 minutes from the beaches of Gulf Shores and the new express way makes avoiding traffic on the trip to Orange Beach easy. Please let us know if you would like to schedule appointments to view homes for sale or need additional info for Ridgewood Estates, such as recent sales info, subdivision rules or pictures by calling (251) Area-Pro (251-273-2776) or emailing info@condoinvestment.com for immediate assistance.